Type-2 diabetes is often considered a lifestyle disease, predominantly affecting mature adults and strongly associated with high blood pressure, cholesterol, and obesity. Sugar sweetened beverages have received a lot of attention recently for their potential contribution to obesity and risk of type-2 diabetes. 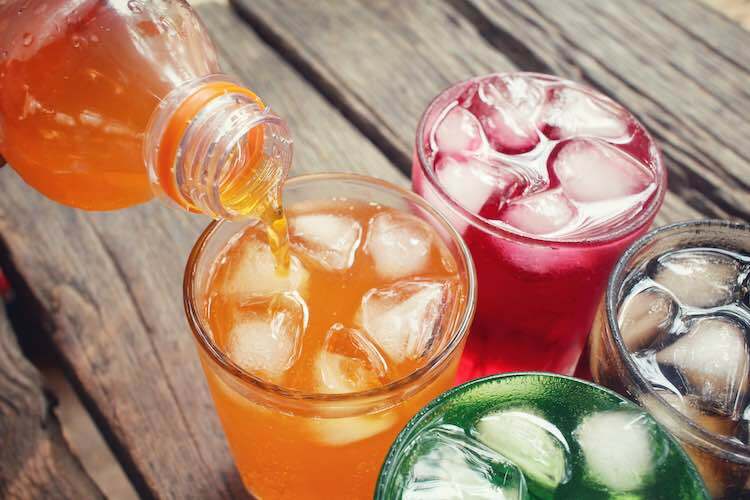 Some recommendations have included artificially sweetened drinks and fruit juice as healthier alternatives to sugar sweetened beverages but their association with type-2 diabetes is not well known. Researchers analysed existing data on the link between consumption of sugar sweetened beverages, artificially sweetened drinks and fruit juice and type-2 diabetes, taking into account the effect of obesity. The analysis assessed people’s beverage consumption (frequency and type), adiposity (body fat) and incidence of type-2 diabetes. They also estimated the risk of type-2 diabetes that could be attributed to sustained consumption of sugar-sweetened beverages over a 10 year period. The results showed that increased consumption of sugar-sweetened beverages was associated with greater incidence of type-2 diabetes, independent of obesity. They also observed an increase associated with consumption of artificially sweetened drinks and fruit juice, however these findings were not as strong. Assuming sustained levels of consumption of sugar sweetened drinks over a 10 year period, and a causal relationship between consumption and incidence of type-2 diabetes, researchers estimated that over a decade, two million cases of type-2 diabetes in the US and 80,000 in the UK would be associated with consumption of sugar-sweetened beverages. There are various limitations to this study so results should be interpreted with caution. Nevertheless, this adds further weight to evidence around the unhealthy effects of consuming sugary drinks. There is substantial evidence linking soft drink consumption to increased risk of overweight and obesity. While the results linking artificially sweetened beverages and fruit juices to type-2 diabetes were weak, these did not appear to be healthy options for preventing type-2 diabetes. When you’re feeling parched, the best bet for good health is a tall glass of H2O.